Lodger facilities for an RN Air Section and disembarked squadrons from 1942. 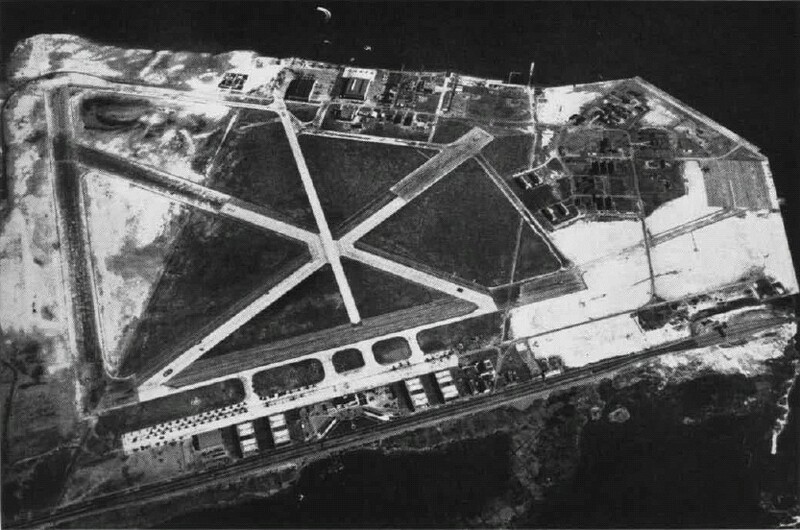 The airfield lies on a man made island which juts into Jamaica Bay, on the S.E. coast of Brooklyn, where the Rockaway inlet joins Jamaica bay. Breezy Point 4 miles S.W. 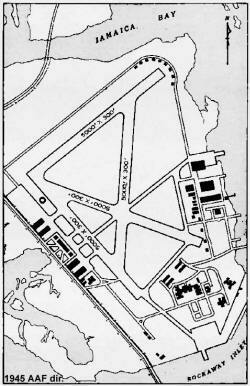 of Floyd Bennett Field; the most westerly point of the Rockaway isthmus which separates Jamaica Bay from the Atlantic Ocean. 01/18 QDM. ---° ----° .... 1,666 x 100 yds. 06/24 QDM. ---° ----° .... 1,666 x 100 yds. 12/30 QDM. ---° ----° .... 1,666 x 100 yds. 15/33 QDM. ---° ----° .... 1,666 x 100 yds. 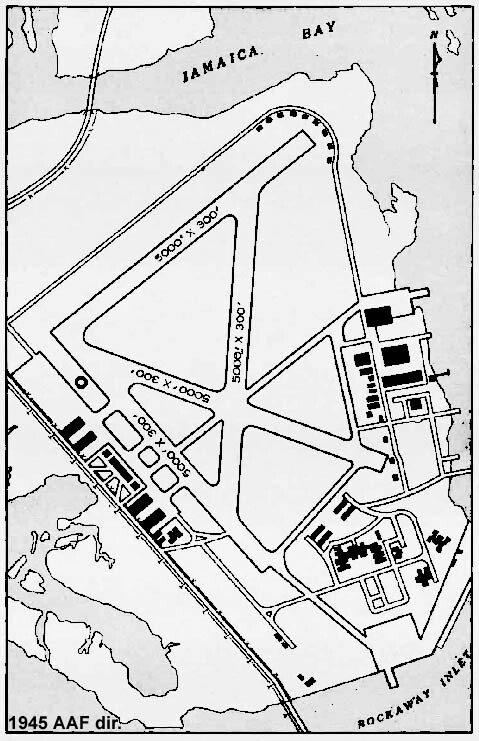 A central taxi track connect s the main hangar complex to the seaplane hangars on the far side of the airfield, crossing through the junction of runways 01/18 & 12/30. a smaller track connects the S.W. ends of runways 12/30 & 15/33. Disembarked from HMS ARCHER 15.07.42 to 31.10.42 while the ship was in dockyard hands. Equipped with 4 Swordfish Is. Moved here from RNAS Palisadoes13.05.42. Embarked in HMS BITER 02.06.42. Equipped with 6 Fairey Swordfish. Moved here from RNAS Palisadoes 01.07.42. 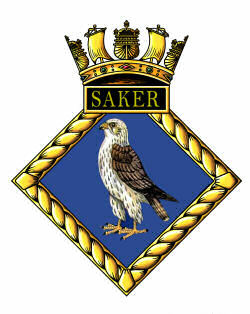 Embarked in HMS DASHER 25.07.42. Detached flight of 2 a/c. Disembarked from HMS ARCHER 15.07.42. Flight disbanded here 30.09.42. Equipped with 2 Swordfish Is. Moved here from USNAS Brunswick 14.10.443. Embarked in HMS TRUMPETER. via USNAS Norfolk 17.10.43. Moved here from USNAS Brunswick 30.10.43. Embarked in HMS KHEDIVE, via USNAS Norfolk, 01.11.43. Moved here from USNAS Brunswick 15.11.44. Embarked in HMS REAPER, via USNAS Norfolk, 22.11.44. Moved here from USNAS Brunswick 15.11.44. Embarked in HMS REAPER, via USNAS Norfolk, 23.11.44. Moved here from USNAS Brunswick 13.07.45. Moved to USNAS Norfolk 14.7.45.